It’s 2016 and many of us may be feeling a little sluggish after overindulging in the basic food groups of sugar, fat, caffeine, meat, and alcohol over the holidays. Let’s take a little look at how our bodies detoxify with a focus on the kidneys and how Flor•Essence® Tea can support this cleansing process. Our kidneys and liver are the two major organs that do the heavy lifting of cleansing wastes and toxins that we take in from food and the environment. 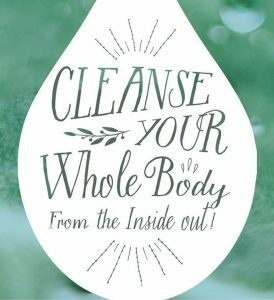 They, along with the lymphatic system, “clean the blood”, break down and neutralize wastes and toxins, and send waste products on for elimination via the colon and in urine. The liver processes and deals with fat-soluble toxins and the kidneys remove water-soluble toxins. The kidneys remove waste products like ammonia, urea, creatinine, and uric acid as well as certain drugs and environmental toxins. The kidneys essentially function as a filter — to allow waste products out and to re-absorb things like protein, glucose, minerals, and water that the body can reuse. Recycling does a body good! Our diets are often too high in salt and this can lead to loss of calcium because the two compete for re-absorption in the kidneys. Drugs and environmental toxins, because they are coming from outside the body, first go through the liver for processing. In the liver, some of these toxins are rendered water soluble, making them easier for the body to remove and preventing their storage in fat cells. The herbs in Flor•Essence®, with their bitter and diuretic effects and promotion of healthy digestion and elimination, support these natural cleansing processes. Our kidneys and liver are very resilient and good at their job but sometimes, due to aging, chronic stress, poor diet, and increased modern exposure to toxins, they could use some help and support. The synergy of the 8 herbs in Flor•Essence® comes together to help your body gently draw out, break down, and eliminate these wastes and toxins so that you can function at your best. Blessed thistle (Cnicus benedictus), a relative of milk thistle, supports the liver with its bitter properties. Bitter herbs stimulate liver function and prime the whole digestive system as well as peristalsis (bowel movement). Burdock (Arctium lappa) is a well-known traditional cleansing herb. The root is the part used in Flor•Essence and it has bitter and diuretic properties. Kelp (Laminaria digitata) is a seaweed and source of minerals like iodine. It’s very soothing to the intestinal tract and promotes growth of probiotics there. Sheep sorrel (Rumex acetosella) has both bitter, liver-stimulating properties and a diuretic effect. Slippery elm (Ulmus fulva) is a nutritious, gruel-like powder made from the elm bark—very soothing to the intestines and stomach. Turkish rhubarb (Rheum palmatum) is a bitter herb with laxative properties. Red clover (Trifolium pretense) is traditionally used as an expectorant and cleanser for skin conditions. Watercress (Nasturtium officinale) is a nutritious vegetable in the Cruciferous family that supports liver detoxification and has diuretic effects. You’ll notice the word ‘diuretic’ throughout these herbs’ effects. These herbs stimulate urine production by the kidneys in order to help remove accumulated fluid and waste products. These herbs tend to either increase blood flow to the kidneys or reduce water re-absorption. Diuretic herbs can also sometimes have antimicrobial or soothing (demulcent) effects. When cleansing with diuretics, this may mean you’ll need to rehydrate a little more than usual. If you have any kidney disorders, it would be wise to check with a healthcare practitioner before cleansing too.